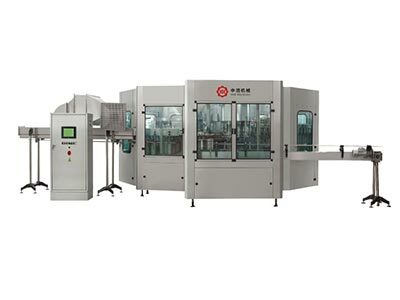 Juice hot filling machine uses UHT direct way in order to reduce pollution. 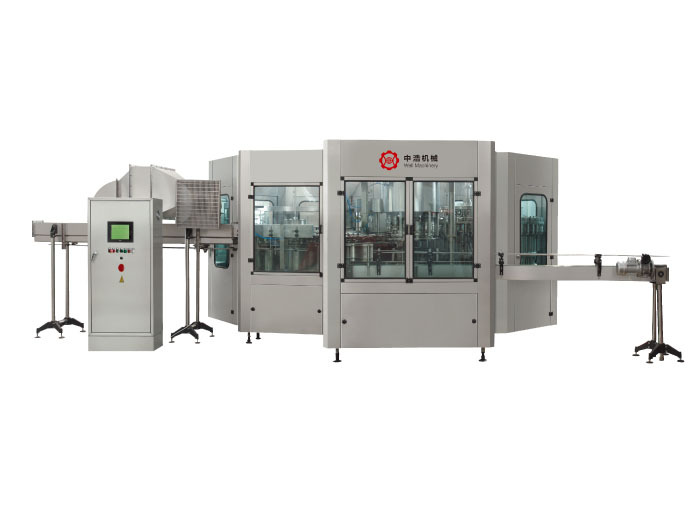 Feeding way give priority to liquid tubes are connected to the distributor by static seal, avoids the disadvantages of traditional hydraulic cylinder, which is difficult to clean. 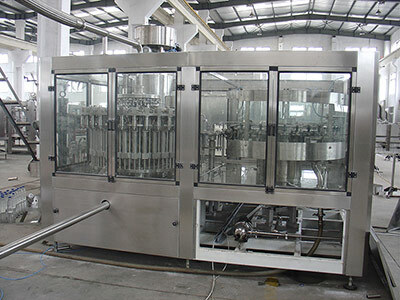 Juice hot filling machine is WELL machinery in the introduction of foreign advanced technology,and carry out the transformation and innovation of products.Set flushing, filling, capping as one of the fully automatic multi-unit.Juice hot filling machine is suitable for the ideal equipment which needs high temperature hot filling beverage, such as juice drink,tea drink,etc. 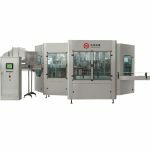 ☆ Suitable for products: fruit and vegetable drinks, tea drinks, functional drinks, dairy drinks, etc. ☆ Adopting 3-in-1, 4-in-1 (with disinfectant function) , filling temperature is 85-92℃. 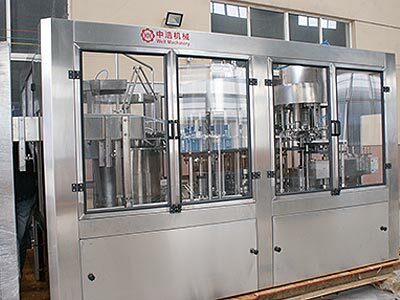 ☆ Juice hot filling equipment adopts the direct connecting technology between air converyor and bottle infeed starwheel, It’s convenient for bottle size changing. 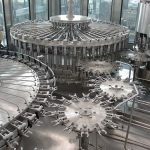 ☆ Bottle transmission adopts the technology of gripping bottleneck, changing the bottle sizes without adjusting equipment level. 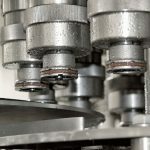 ☆ Specially designed stainless steel washing bottle gripper is Strong and durable, which is not touch with bottle threaded parts, to avoid secondary pollution . 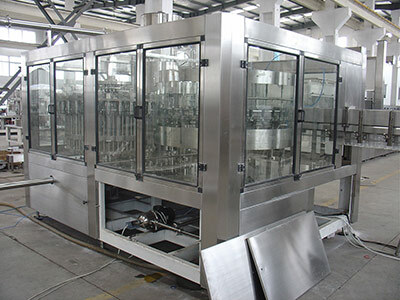 ☆ Juice hot filling machine uses UHT direct way in order to reduce pollution. 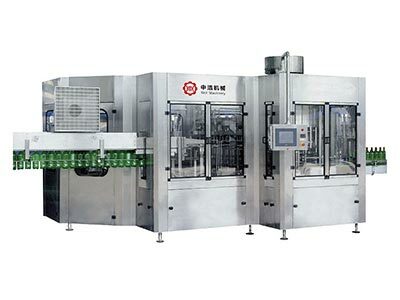 Feeding way give priority to liquid tubes are connected to the distributor by static seal, avoids the disadvantages of traditional hydraulic cylinder, which is difficult to clean.